Hello to yet another weekend. 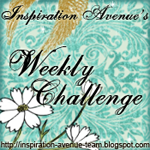 This week I want to share the art that I did for week-5 DLP challenge. This week it is so special for me as my son too played along with me to create this beautiful page. This is a collaborative art. 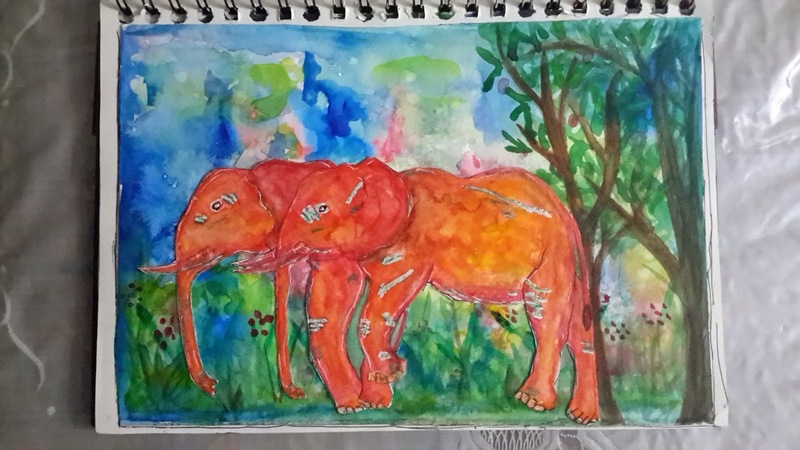 The elephants were drawn by my eight year old son. 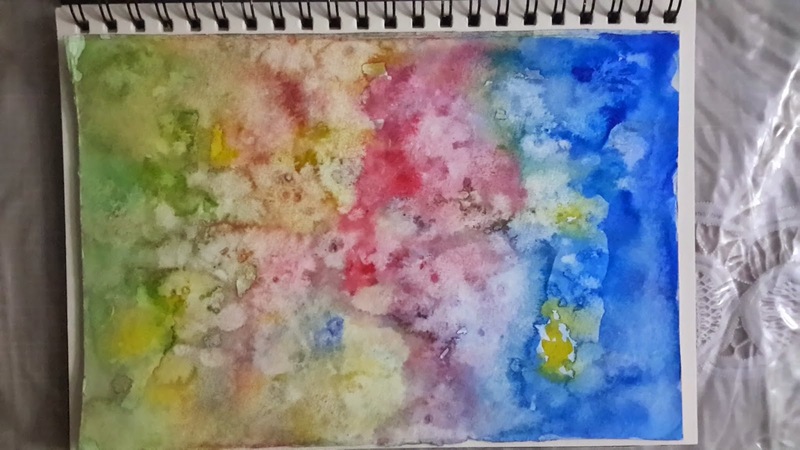 I then used watercolors over them and also added some crayon resists. I then pasted them over the underpaper that was again created out of water color. Yet another sample of an under paper. 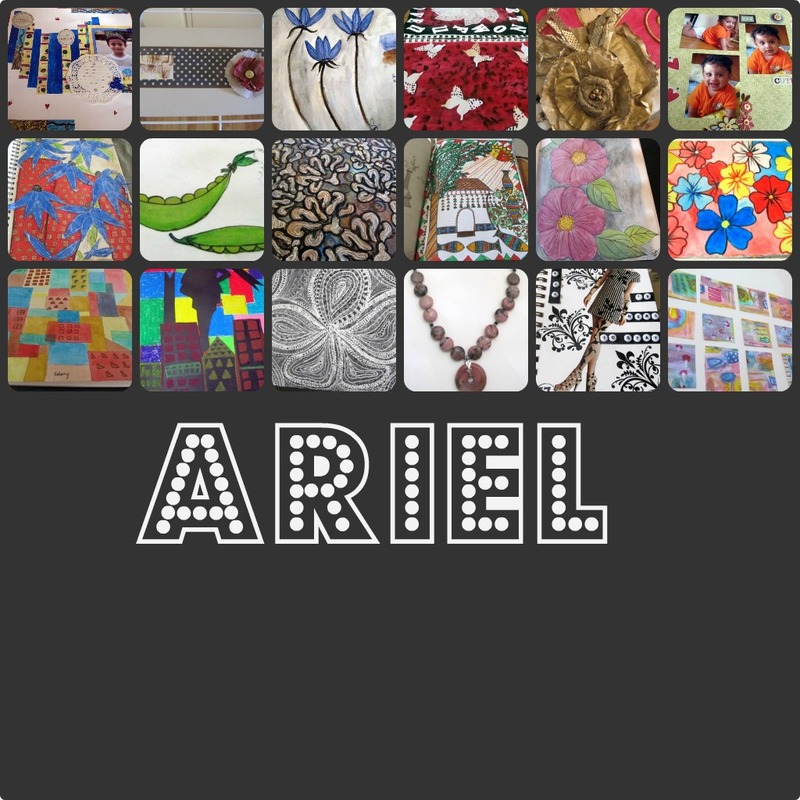 This page was done for the second week challenge. The Art challenge was to use Gesso. The journal prompt was a quote by Mary Shelly-" The beginning is always today." What a joy to work with your son-your work is wonderful! Oh I love elephants! Beautiful pages!!! 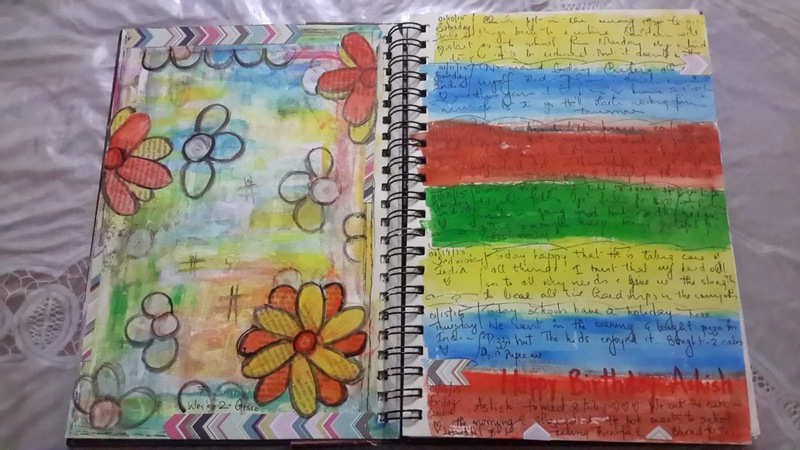 Wonderful color, great expressions, Lovely journal pages! 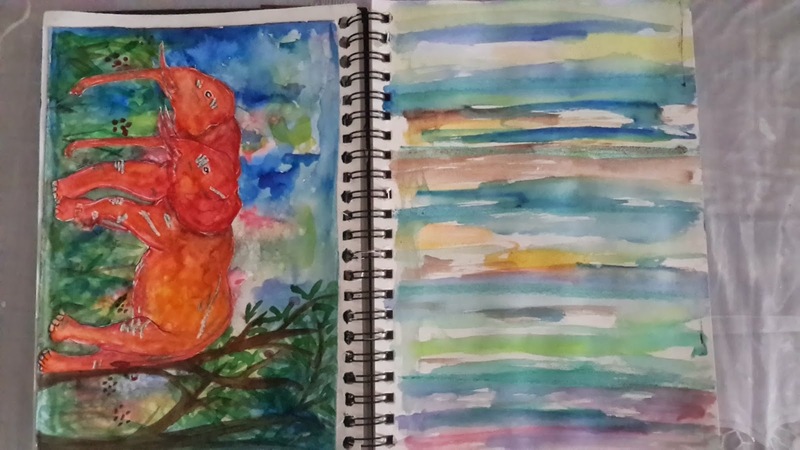 wonderful pages, and I love those fab elephant drawings by your son-good job! Great job on the elephants. Love the bright colors you and he chose. Susan what a fabulous collaboration! How exciting!! Your son is an amazing talent! Wow this is gorgeous, love the elephants!